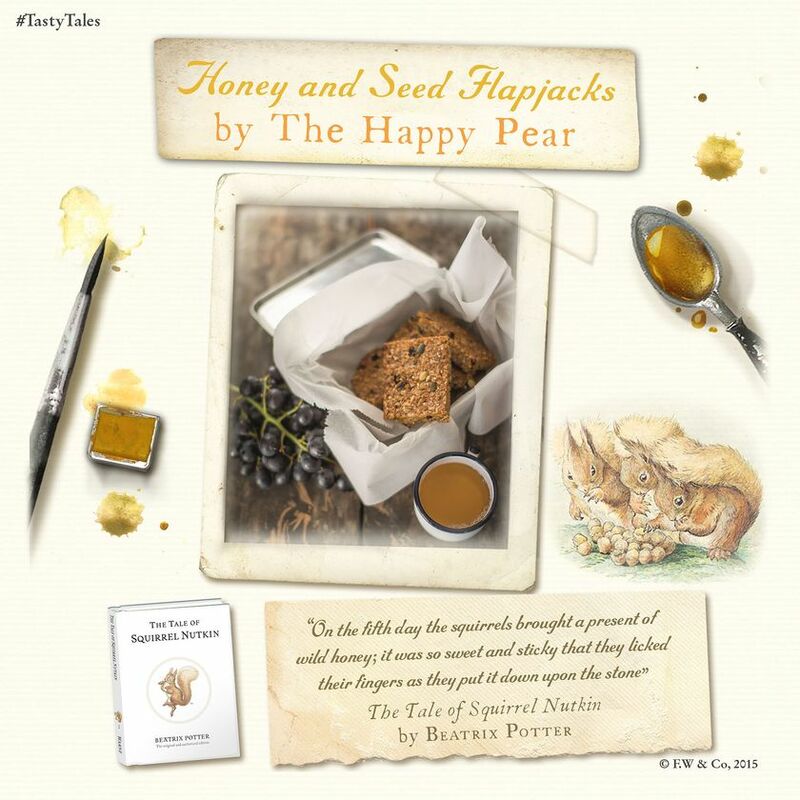 The Happy Foodie is taking storytelling from the page to the kitchen as we team up with Ladybird, Peter Rabbit and some of our favourite authors to inspire you with a selection of fun and simple #TastyTales recipes. 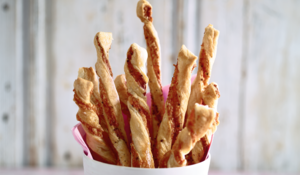 Inspired by Beatrix Potter’s classic tales, these recipes are perfect for making with your little bunnies this spring! The Tale of Peter Rabbit - "Flopsy, Mopsy and Cotton-tail, who were good little bunnies, went down the lane to gather blackberries." Perfect for tired and mischievous bunnies at the end of a hard day, these gorgeous Peter Rabbit-inspired cupcakes are ideal for an Easter party or bake sale. 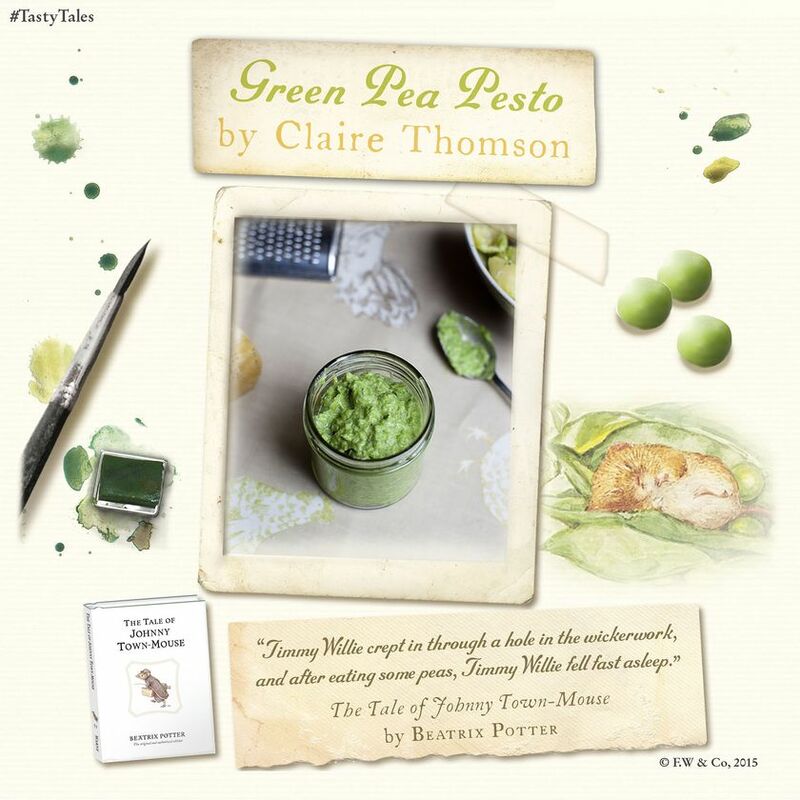 The Tale of Johnny Town-Mouse: “Timmy Willie crept in through a hole in the wickerwork, and after eating some peas, Timmy Willie fell fast asleep.” In the time it takes for the pasta to cook, depending on shape, the following pesto recipe can be made from scratch. "I loved the books of Beatrix Potter as child. With three children all under eight, I am pleased to be reading them to my girls all over again. Peter Rabbit and friends aside, what I find evocative in these tales is the tantalising bounty on offer in Mr McGregor’s garden. Lettuces, peas, radishes and cabbages, these are all quintessential summer produce and evoke hazy hot summer days and the tireless work that is required of a well stocked vegetable garden. The irascible Mr McGregor certainly has his work cut out keeping those hungry rabbits at bay. 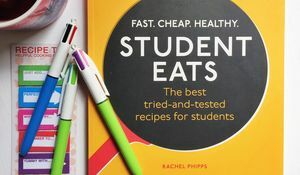 That the books reference food so often is a joy and, for me, brings the books to life. The dripping honeycomb store discovered in the ceiling of the fastidious Mrs Tittlemouse’s immaculate home, Tom Kitten rolled in pastry for a pudding and only just escaping and the lugubrious fishing habits of Jeremy Fisher - these are tales rich with food folklore and conjure a bucolic world that children and adults alike will continue to find mesmerising." The Tale of Squirrel Nutkin: "On the fifth day the squirrels bought a present of wild honey; it was so sweet and sticky that they licked their fingers as they put it down upon the stone." A lovely recipe from the wonderful Martha, who baked with us for a few years. This version will satisfy the most avid of flapjack lovers! A great addition to a lunchbox. If you want a gluten-free version of these flapjacks, use honey rather than barley malt. Appley Dapply's Nursery Rhymes "And when she peeps out there is nobody there, but a present of carrots put down on the stair." This is real good - one of Phil's creations, sweet and savoury and hard to beat. 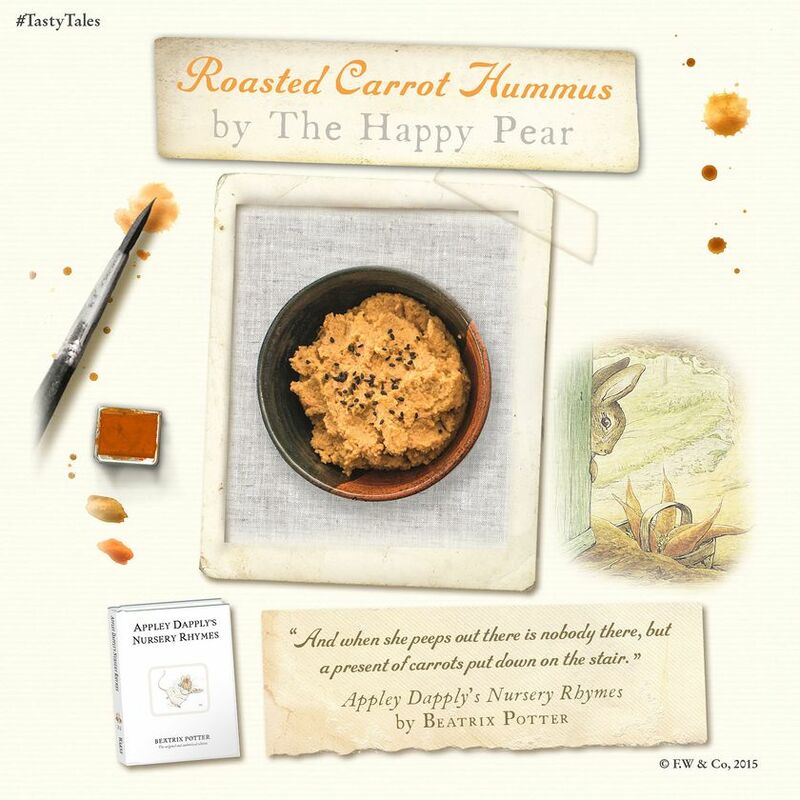 Goes great on top of The Happy Pear's Beetroot Burgers or served as a dip in it's own right. The Tale of Peter Rabbit "Then old Mrs Rabbit took a basket and her umbrella. and went through the wood to the bakers. She bought a loaf of brown bread and five currant buns." 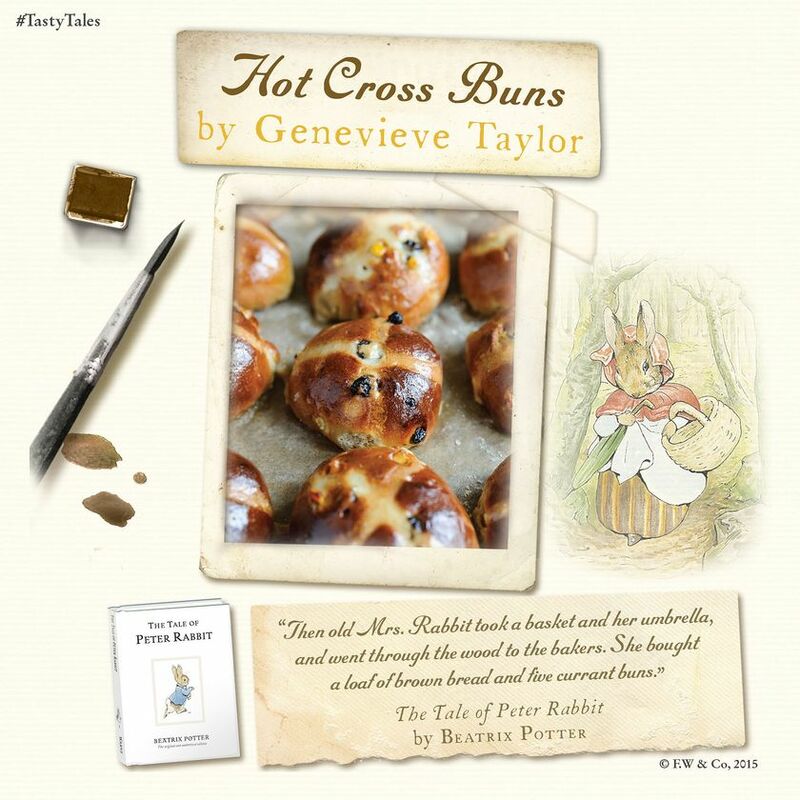 Why go to the bother of making your own hot cross buns? Well, first, you can add as much spice as you like, and secondly your house will smell divine as they bake. 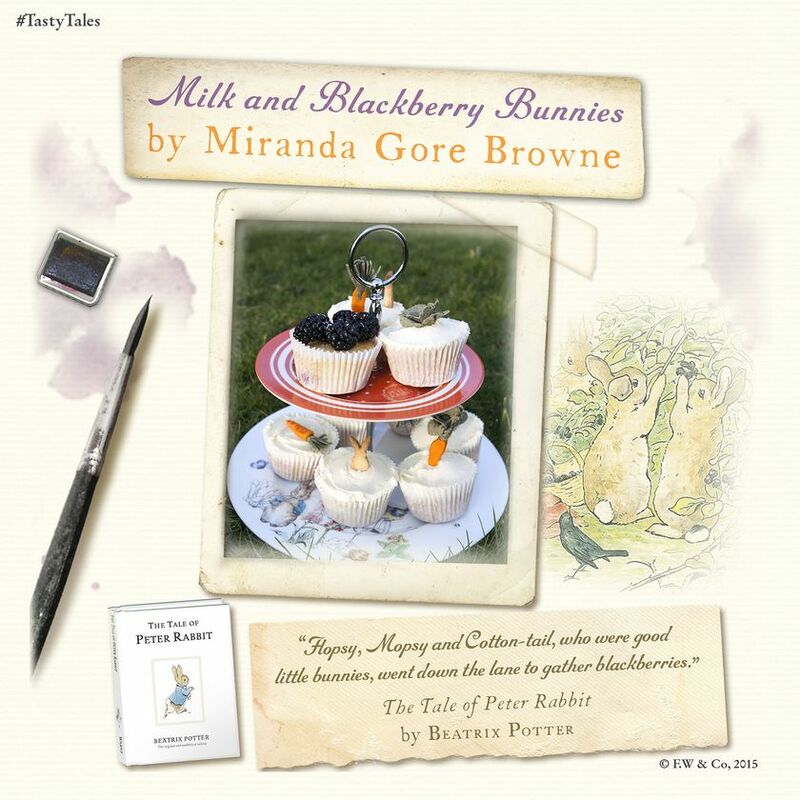 "Although now I struggle to remember specific times when I read Beatrix Potter as a little girl these delightful tales are very firmly entrenched in the memories of my childhood, somehow near mythological in their hazy, lazy, summer day appeal. Now that I have a little girl of my own (Eve, aged 7) who is gaining confidence as a reader herself, we love to snuggle up together in her bed to read together as often as possible and it has become one of my very favourite times of the day. Peter Rabbit, the little scamp, is one of our favourites. We both agree that, whilst Peter could be seen as something of the 'baddy', the naughty one of the tale (all the best stories have a lovable baddy among the goodies, don't they?) we much prefer him over his goody two shoes sisters. Both of us, it appears, are women who relish the rebel. As a keen gardener, with Eve a very willing little helper, we both chuckle at Mr McGregor's efforts to grow a successful harvest. With 2 dogs, 2 cats, 3 chickens, and a 10 year old son who likes ball games I can readily empathise with his utter frustration at Peter's destruction. But just like him, I persevere, the rewards of bringing some food we have grown into the kitchen to cook together are too great to not at least try….. and try again, and again and again." 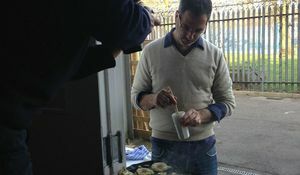 Join Ebury Editorial Director Sarah Lavelle behind the scenes on the photoshoot for Yotam Ottolenghi's new book Plenty More. Warning: your mouth will water. Want to stick to a budget this Christmas? Author of Eat Well for Less has 8 top tips for looking after the pennies this Christmas, without forfeiting on any of the festive cheer.